Sometimes the adults just need a decadent Beef Stew with Red Wine. 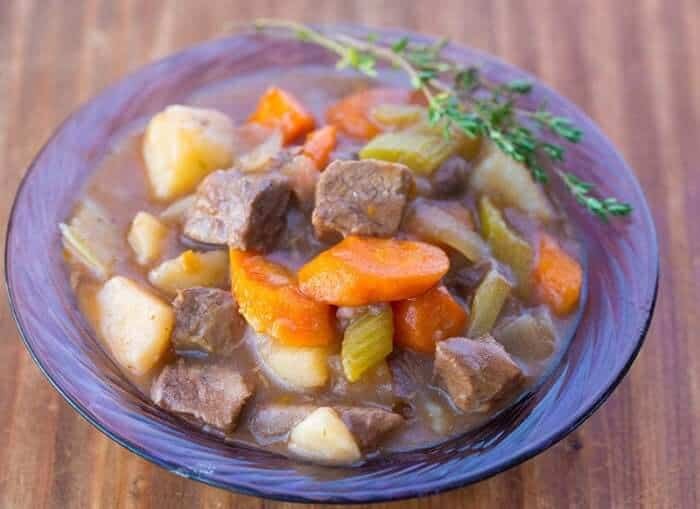 While this stew is a little more complex than a simple beef stew, it really is just a few more herbs and some red wine compared to a basic stew. It’s absolutely worth it! Don’t be scared by the list of ingredients, it’s honestly mainly just herbs that you should have in your pantry already! It is a long list, but it’s easy and it’s worth it. I’m not sure if red wine beef stew is something that all kids will enjoy (mine did) as it does have that extra edge to the taste that appeals to the adult palate. There will be some alcohol left from the red wine (this is a great article to read) so that is a personal choice up to each and every parent. 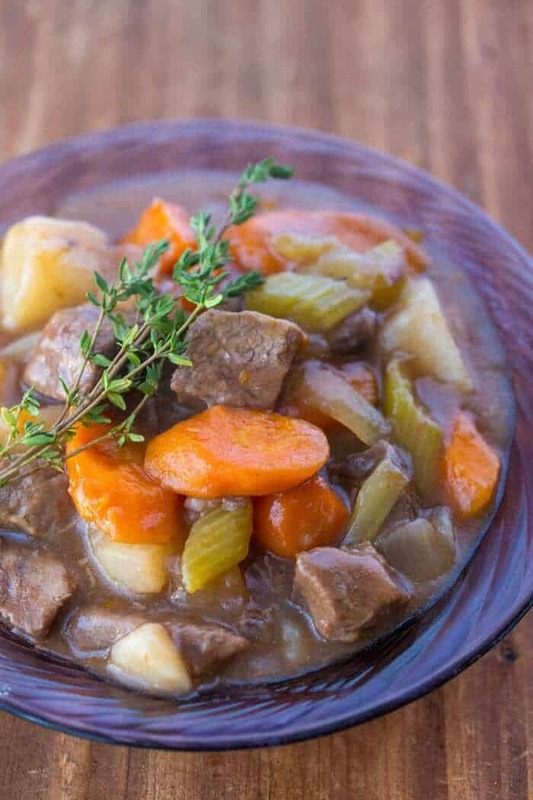 Can I make this red wine beef stew in the slow cooker? The recipe is easily adaptable to the slow cooker! Simply brown the beef as directed and then combine everything in your slow cooker. Cook it on low for 7-8 hours or on high for 5-6. 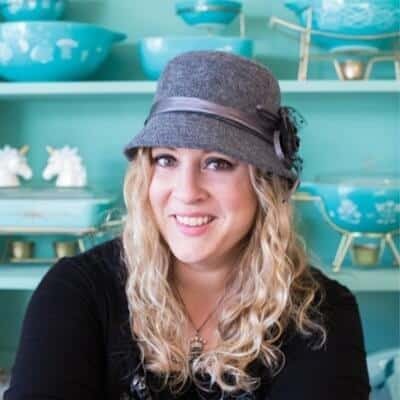 Remember when you are cooking it in the slow cooker that you need to chop your vegetables larger so that they don’t fall apart after slow cooking all day long. What type of red wine do I use in beef stew? The rule of thumb is to use a wine that you enjoy drinking, and if you serve the remainder with the meal you have a winning dinner combination! 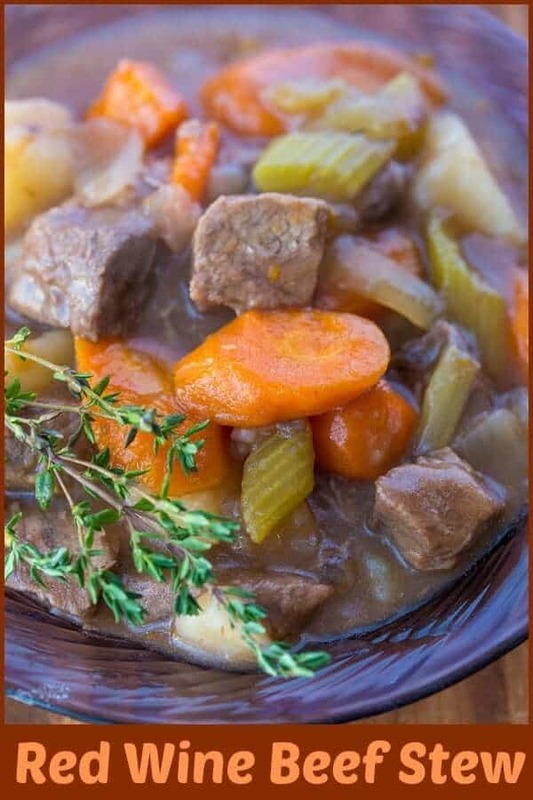 You only need 1/2 cup of red wine for this beef stew, which means that you have almost an entire bottle of red wine left for your meal. The second rule of thumb is that you need a drier red wine, you don’t want sweet. Try a Merlot, a Cabernet or a Syrah, all of these will pair nicely – but there are many other dry reds that will do the trick as well! Never, ever go by the old advice of using cheap wines in your recipes, if it’s a cheap and nasty wine to start with it won’t taste good in your meal, not to mention the fact that you are then left with almost an entire bottle of terrible wine! This is definitely a stew that I will save for Sunday night dinners or the like, it’s not an everyday stew and I say that because you have to open up a bottle of nice red wine to make it. Sunday and a bottle of red wine to finish? That is NO problem in the Magpie household! Happy Cooking! Leave any questions in the comments below and I’ll get back to you soon! 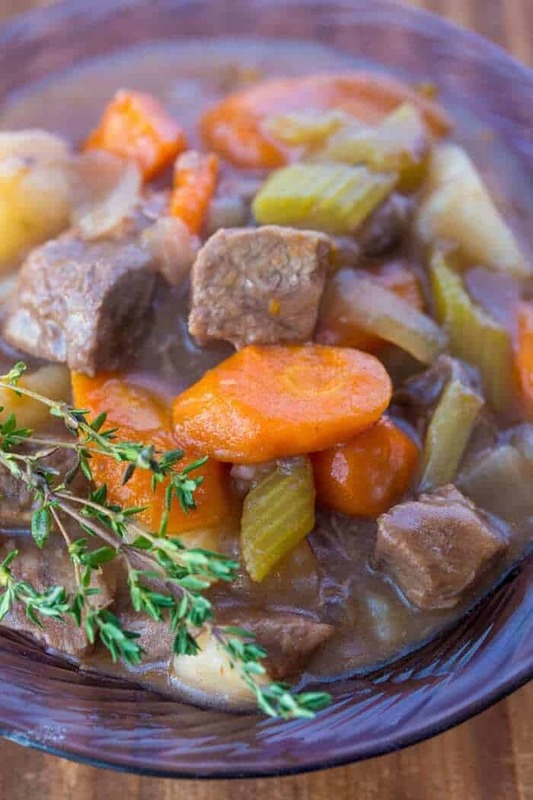 Red wine gives this beef stew a delicious flavour boost, while the tender beef and vegetables make this a hearty meal. Toss the beef cubes in the flour until coated. In a large pot or dutch oven, cook the beef in the oil over medium heat until browned on all sides. Add in the beef broth. Stir in the thyme, rosemary, parsley, garlic, Worcestershire, ketchup and red wine. Bring to a boil, then reduce heat, cover and simmer 1 hour. Stir in potatoes, carrots, celery, and onion into the pot. Cover and simmer 1 hour or until the vegetables are tender. Once done, if needed, thicken the stew by dissolving the cornstarch in 2 teaspoons cold water and whisking into the stew. This beef stew was absolutely delicious! I thought the ketchup and worshteshire along with the rosemary made it special with the red wine. I used all fresh herbs (as always) instead of the dried. 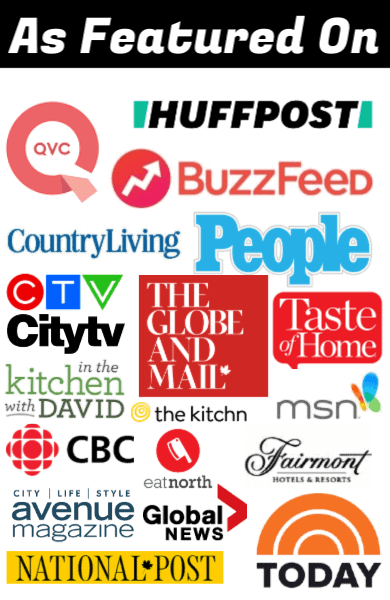 I’ll be looking out for more of your recipes, thanks! Doesn’t this recipe need salt? None listed in ingredients.